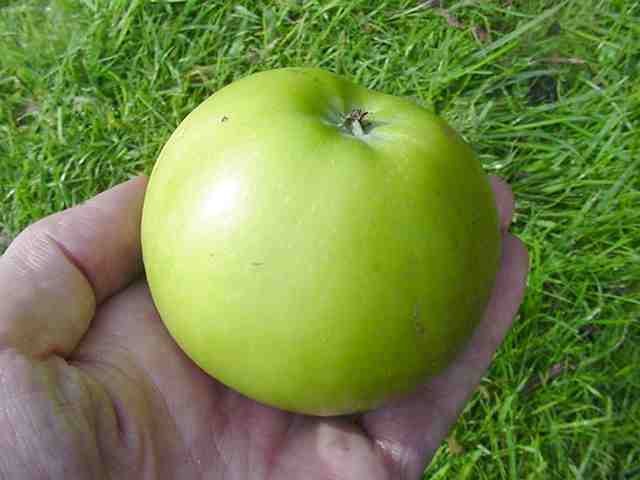 This is said by some to be the best English cooking apple. 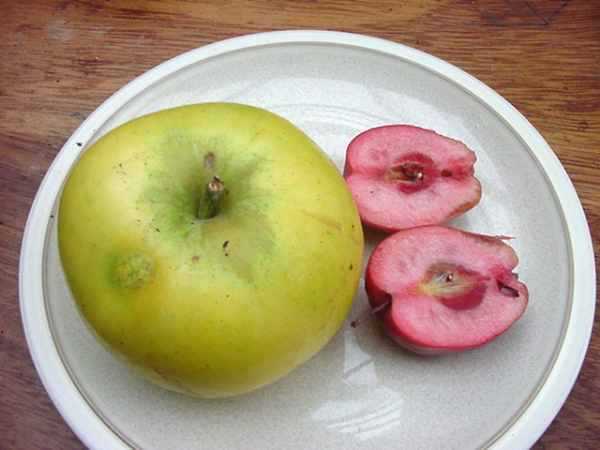 It is a large early cooker with a striking appearance; almost spherical, has completely smooth skin, green to begin with which goes to a lovely golden yellow. By this time, late Sept to mid Oct, the apple can almost be eaten raw. It does not keep more than 2-3 weeks, which is its main disadvantage. Its other drawback is a tendency to go biennial (cropping mainly in alternate years). 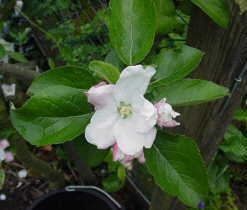 After a couple of days the flowers look like the picture below: the undersides of the petals retain a pink tint but the top sides have virtually no colour. They are distinguished by their rather squat, broad petals, their whiteness, and their late flowering period - one of the last to blossom in my own garden (just before King Edward VII, which is the last). 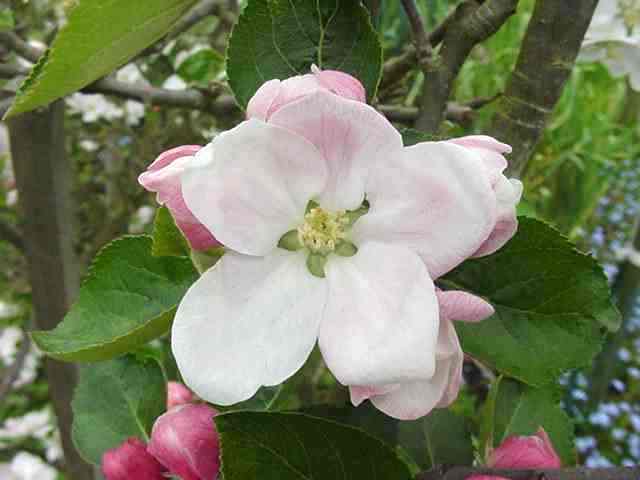 After a couple of days in bright sunlight the pale pink on the undersides of the petals usually disappears. The second picture shows Golden Noble with a soulardii redfleshed crab for scale.